FEMA and You - Do you qualify for disaster assistance? Due to the recent catastrophic storms and flooding, Nebraska homeowners, renters and business owners in Boone, Buffalo, Butler, Cass, Colfax, Custer, Dodge, Douglas, Knox, Nemaha, Richardson, Sarpy, Saunders, Thurston and Washington Counties and the Santee Sioux Nation may apply for assistance for uninsured and underinsured damage and losses resulting from recent flooding, straight-line winds and the severe winter storm from the FEMA office located in Fremont, Nebraska. Additional counties still are in the process of working with state and FEMA officials to verify damage, said Bob Howard, a FEMA news desk manager. He said he expects more counties to be approved as preliminary assessments are completed. To register with FEMA online, visit www.DisasterAssistance.gov. A list of the April mobile pantries on the Food Bank’s website: https://foodbankheartland.org/wp-content/uploads/2019/03/MobilePantry_April.pdf. A livestock producer must file a notice of loss within 30 calendar days of when the loss of livestock is first apparent. For more information, or to locate a county FSA office, visit www.farmers.gov. 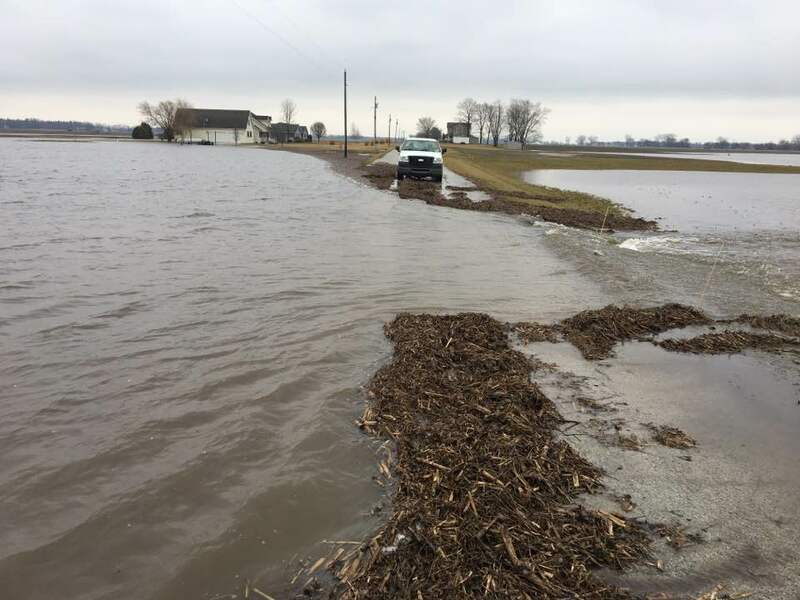 In Nebraska, the USDA has several crews conducting aerial surveillance, looking for stranded livestock, in the federal designated disaster areas. If you see stranded or deceased livestock, please report it to the Nebraska Department of Environmental Quality at 877-253-2603. The USDA has contractors in place to remove livestock carcasses.